The zip file contains eight discs. This software must be installed onto a hard disc. This software supports the touch screen on the 150. This software provides a wonderful illustration of how under-powered the CPU was on the 150 for driving graphics-intensive applications. 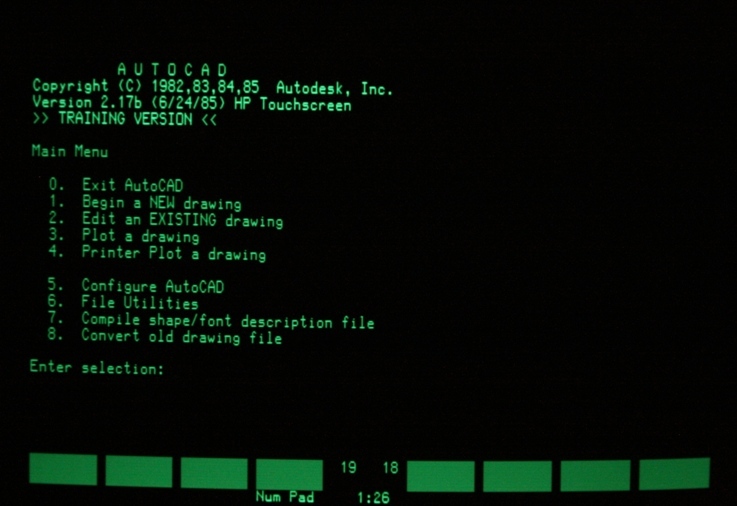 Four minutes are required to load the Nozzle drawing into the computer. Another four minutes are required to refresh the drawing after making any changes.